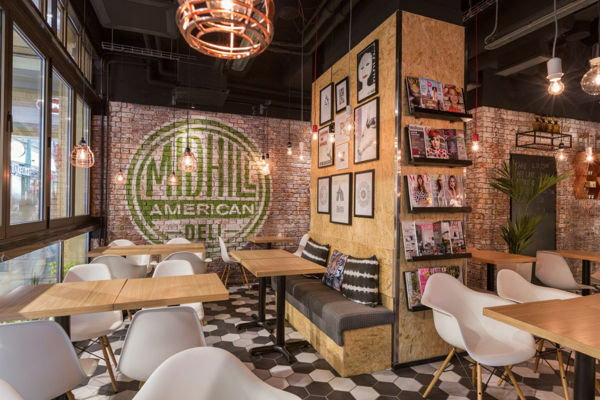 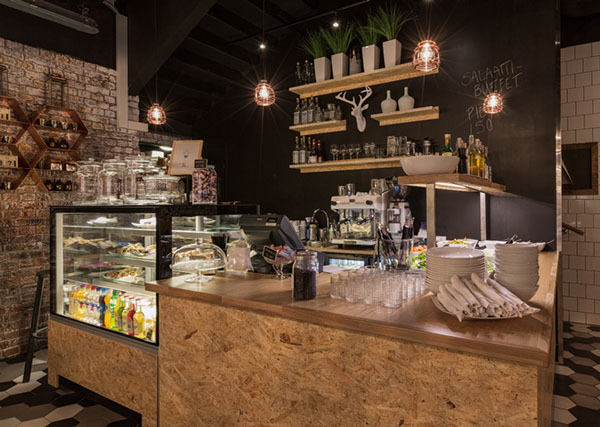 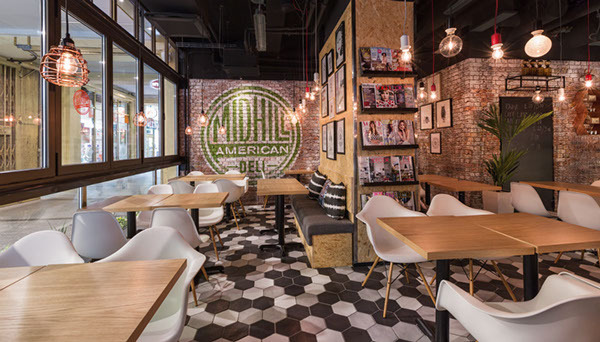 Midhill- American Deli, is located in downtown Helsinki. 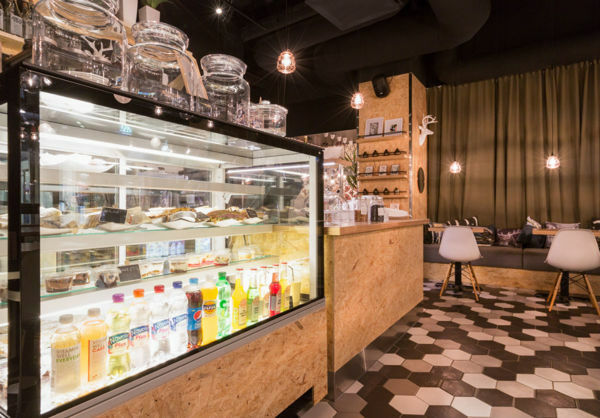 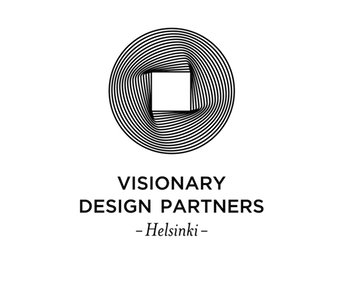 Visionary Design Partners Helsinki conducted the interior design & project management of the refurbishment. 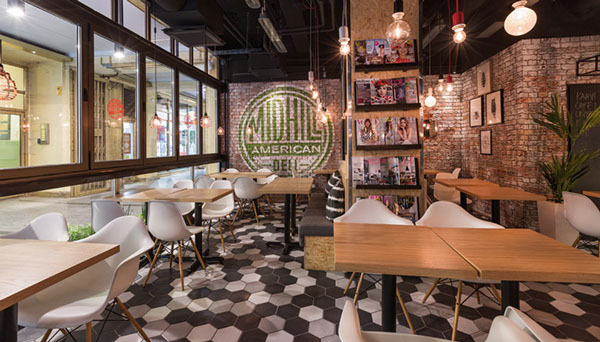 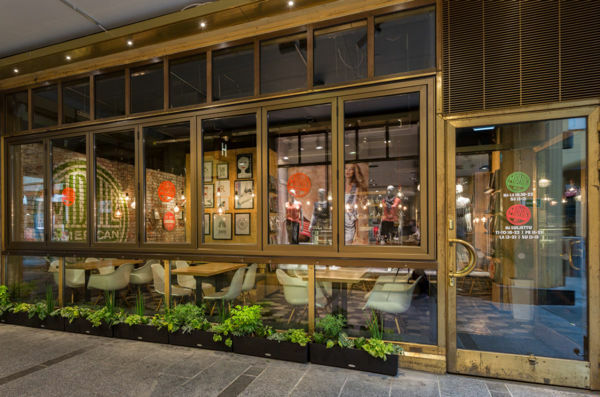 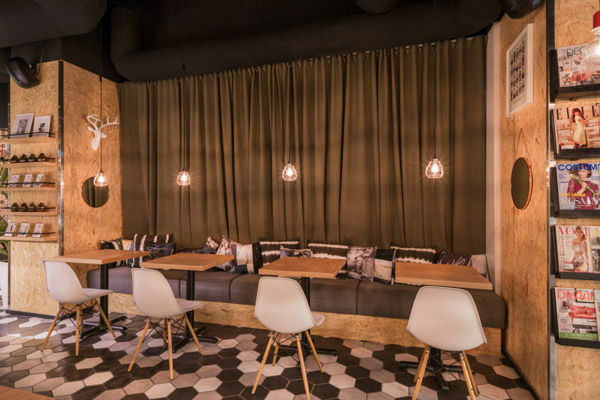 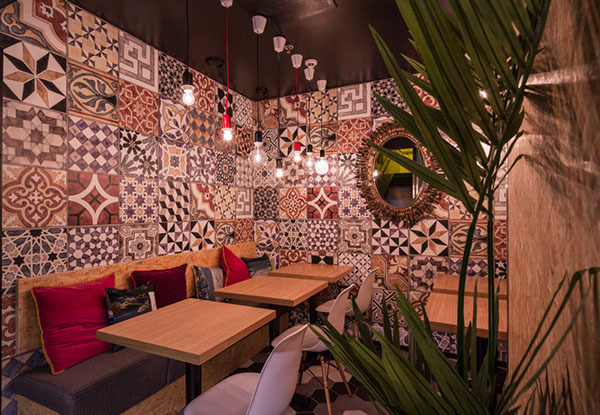 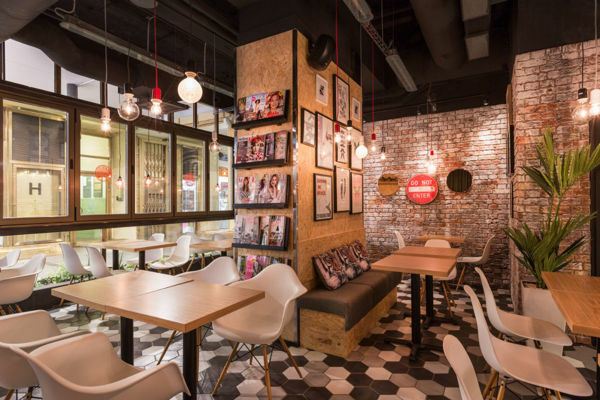 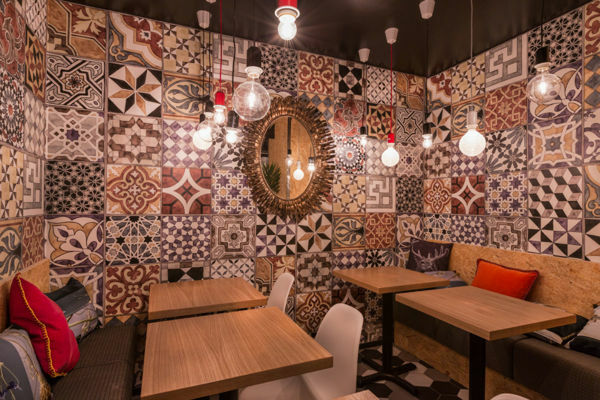 We used for example brick wall tiles, pattern tiles wallpaper, OSB and Eames chairs in this project to create inviting and light space in the spirit of NYC & Brooklyn.